Today’s thoughts are around the joy of being entrepreneur. To be fair, we always hear about people telling you to follow your dreams and how exciting it will be (we do it too :( ). Is this the reading you really need? We can personally tell you that it is exciting but surely there are different things you can enjoy that not a motivator but a person who just does it can tell you. Adam is the Managing Director of Junxion, and when asked him what he likes the most he actually gave a good view of entrepreneurship that we can share. “[What I like about doing business is definitely] unforeseen opportunities. You can plan but then plans change and only thing you can do is to roll with it. For us that could be a having a new associate, a new relationship or a new exciting project that we can say no to. What most people talk about is realising your dream and it is true you are, but this is not the point. Starting a business is not selfish, it is responsibility. You lead people who decided to follow you and they rely on your decisions and the salary you give them every month. Aim at growing the business for people, as it is people who make it. If you’d like to know more about Adam, read this! 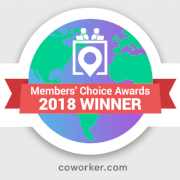 Newer PostIS USING COWORKING FOR NETWORKING A REAL THING?